1. 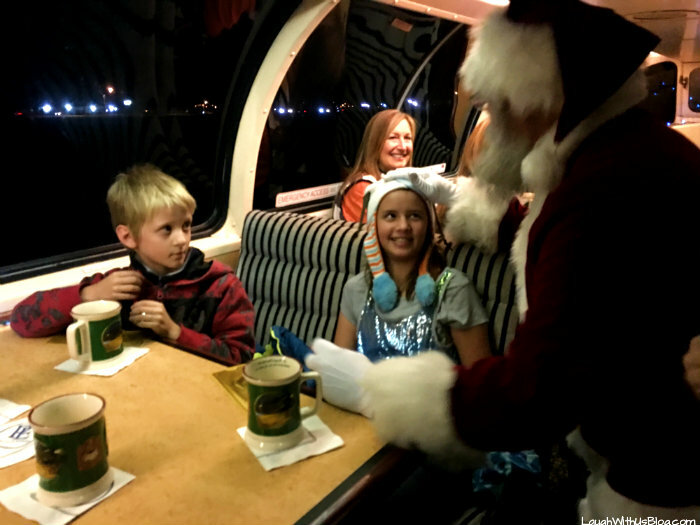 Ride the Polar Express™! 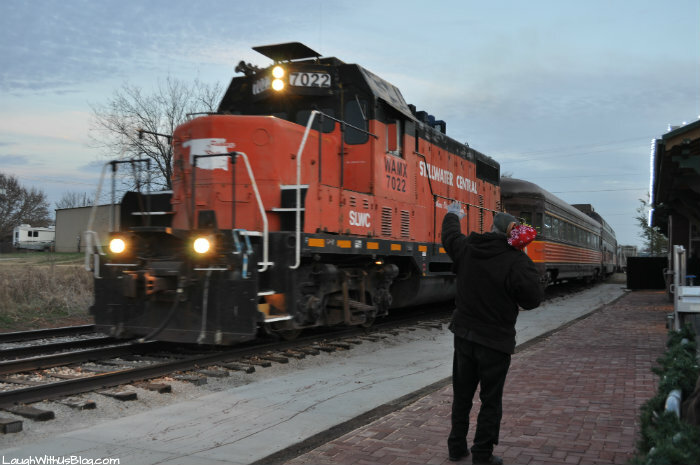 This year marks the first season of THE POLAR EXPRESS™ Train Ride from the Stillwater train depot. Excitement in town is so high, and I can see why. I have to admit I felt giddy as the first sound of the train was heard; then came the lights; and then there it was…The THE POLAR EXPRESS™!!! We arrived early to wait for the train, but from the time the train arrived things happened really fast. The massive crowd quickly boarded the train and found their seats. 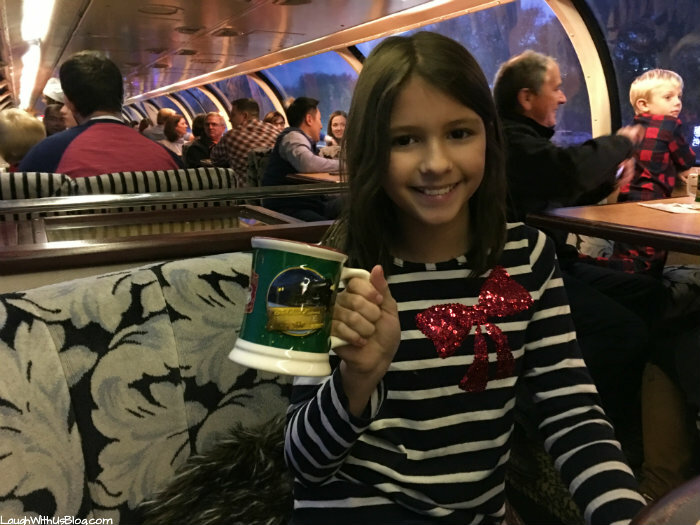 Yes, you actually get to take home your THE POLAR EXPRESS™ mug! 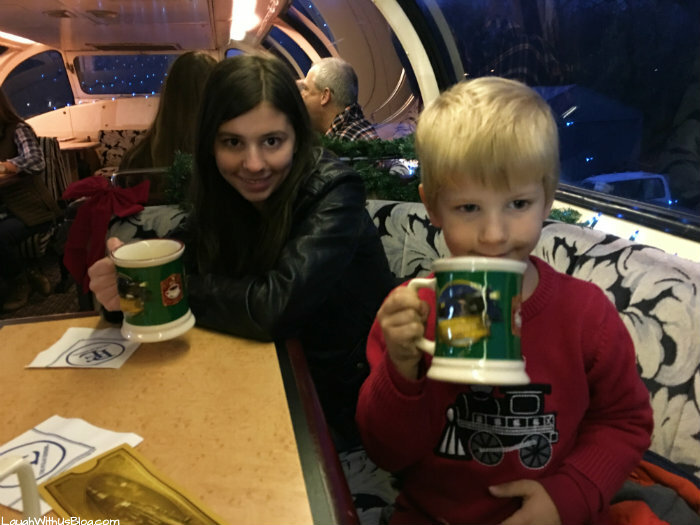 The train got underway and everyone was served hot chocolate and cookies (of course)! The THE POLAR EXPRESS™ story was read dramatically over the speaker while children gazed at the large picture book going slowly up and down the aisle. Time to the North Pole passed quickly! If you look out your window you may catch a glimpse of Santa’s workshop! 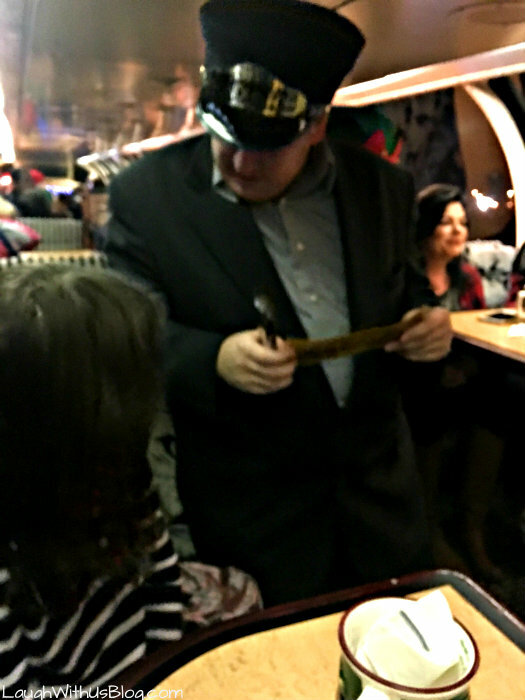 The kids were surprised that the conductor actually came by to punch their tickets! 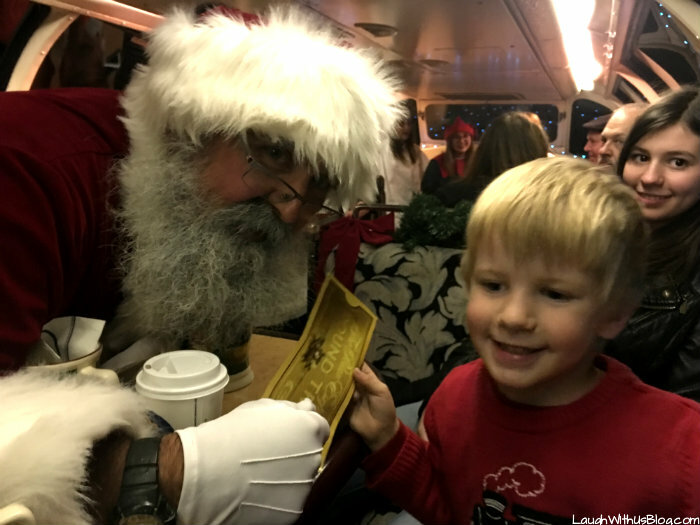 The train made a quick stop to pick up Santa and his elves at the North Pole and each child had the chance to meet Santa and receive their very first Christmas present from him, a sleigh bell! When asked if he was good this year my 8 year old son replied, “No!” That caused quite the stir. When asked, “why” he replied, “‘Cause I want coal for Christmas!” Ha that boy. I love him! 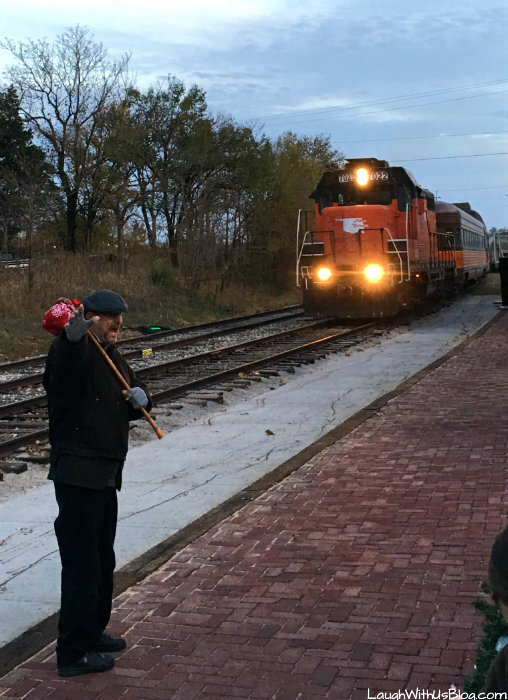 Christmas carols were sung by all on the way back to the depot. 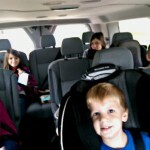 Every one of my kids loved their POLAR EXPRESS™ experience! 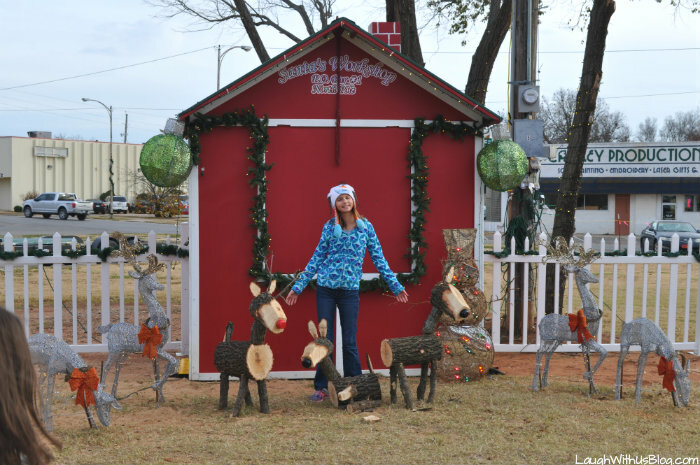 The Reindeer Club of Oklahoma is in downtown Stillwater near the train depot. 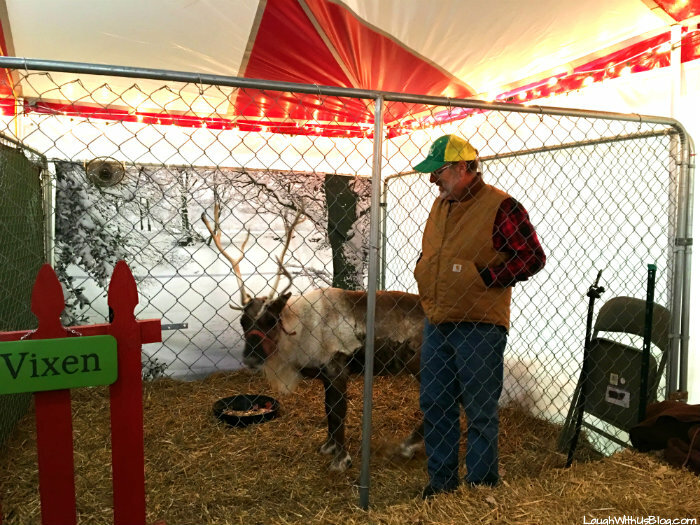 For a nominal fee you can enter to meet Santa’s reindeer! Vixen was a little shy. Some of the other reindeer are more apt to let you pet them and take photos with them. 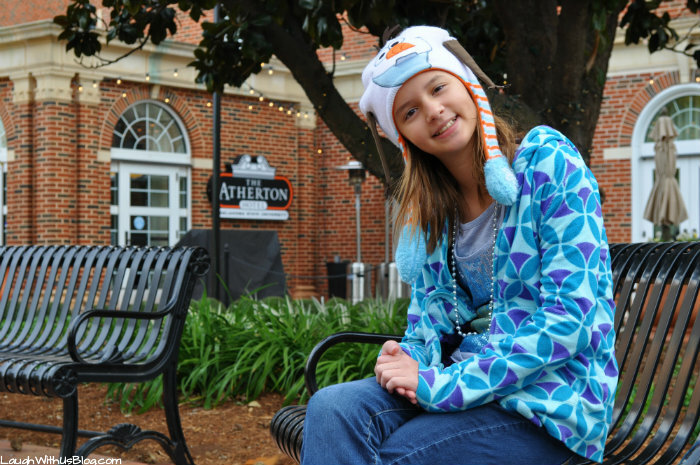 There are also so fun games, photo ops, and the chance to write and mail Santa a letter at the Reindeer club. 3. 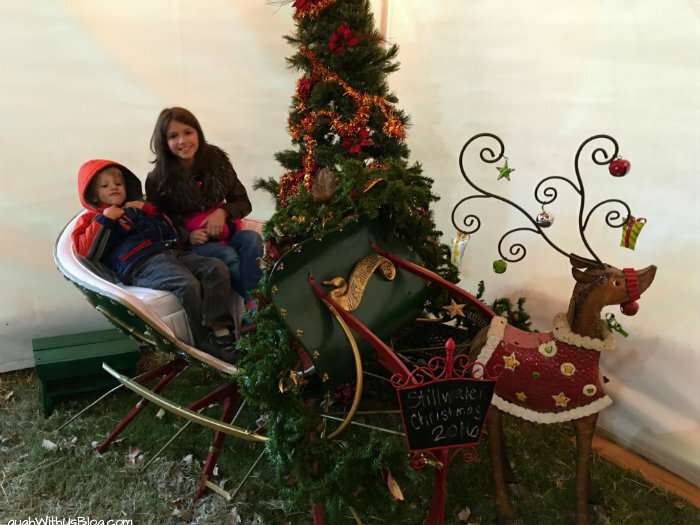 Enjoy a free horse drawn carriage and take a photo at Santa’s Workshop! Carriage rides through Downtown Stillwater run through December 23rd from 4:30-10pm on the weekdays and 12pm-10pm on the weekends. 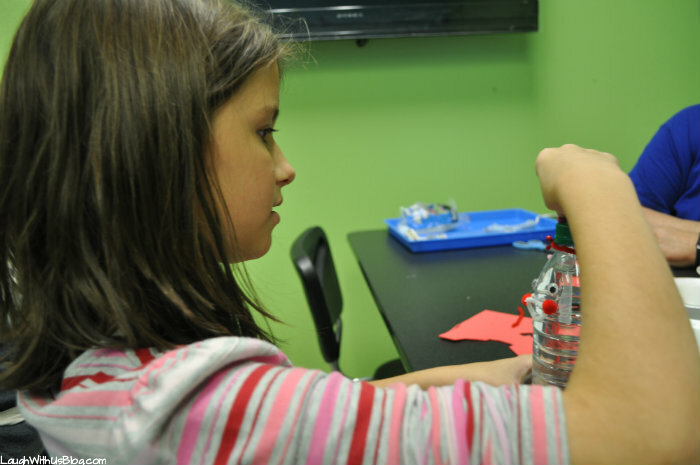 4 Visit Stillwater’s WONDERtorium for a Christmas Craft. 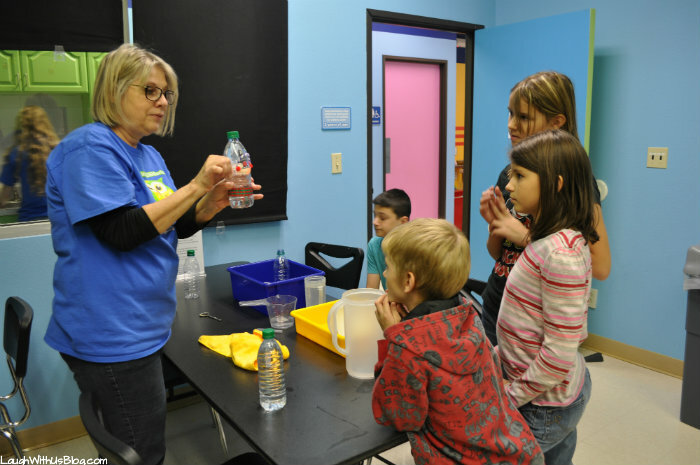 Oklahoma’s WONDERtorium is fun Children’s museum where kids can learn through hands on play. 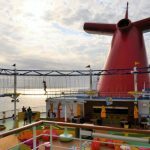 My crew had such a blast here! The craft was science, magic, and Christmas fun all rolled into one. The kids loved it. 5. Stillwater Parade of Lights. 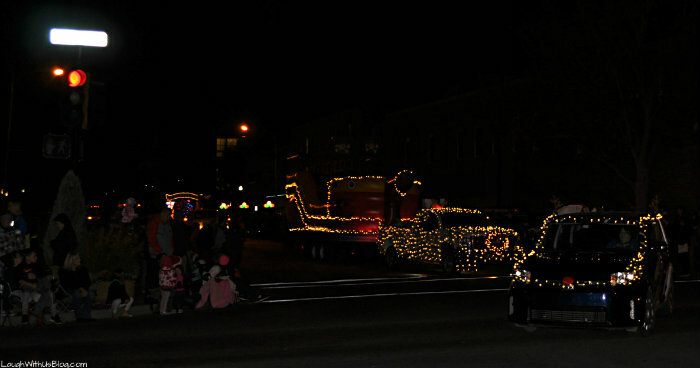 The Christmas parade in Stillwater is held every year on the fist Thursday of December. It is a much loved celebration. I loved talking to the towns people. I can see why Stillwater is indeed the friendliest college town! 6. Stop at the OSU campus courtyard. The Oklahoma Stat University campus is gorgeous. Our family had a blast running through the courtyard–quite literally! 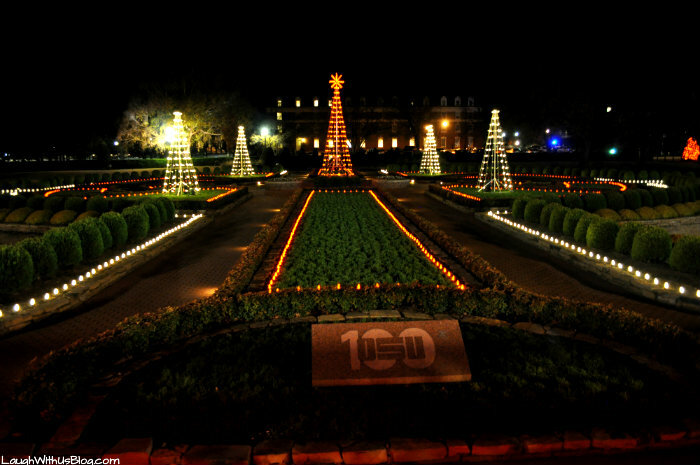 In the evening the Christmas lights are set to music for a beautiful display. The children played freeze tag and hide and seek in the courtyard and other children also there to enjoy the view joined in the fun. 7. 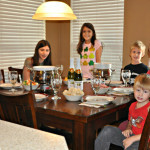 Have a family Christmas party at the Atherton Hotel. 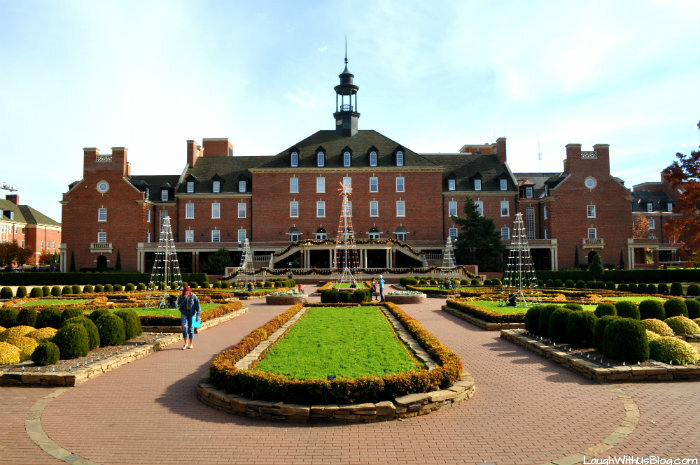 The courtyard at OSU is the beautiful view from the Atherton Hotel located on campus. 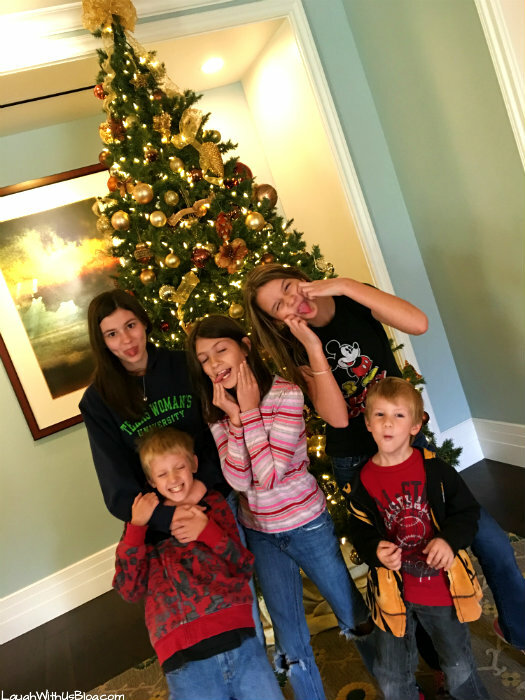 We were crazy excited to be there building 2016 family Christmas memories! Our first Christmas movie of the year was Miracle on 34th Street. 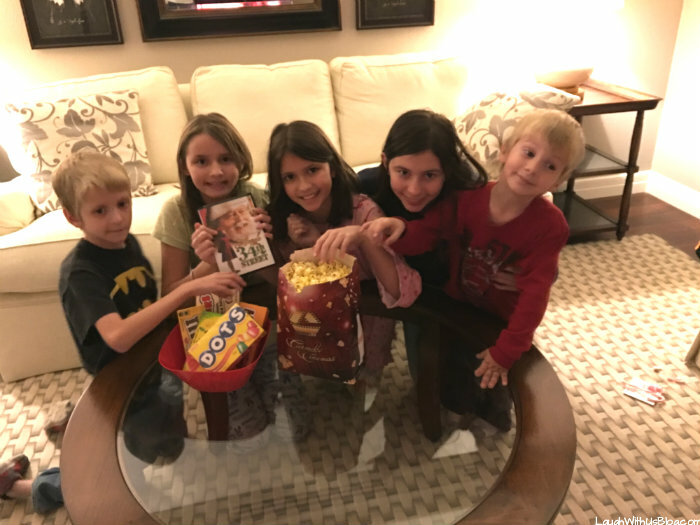 Loaded with popcorn and snacks and wrapped in blankets on the couch of the gorgeous Atherton Hotel room we closed out the night. 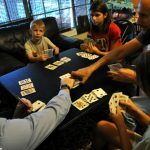 You know there are probably Christmas activities in your hometown as there are mine, but getting away as a family to join in holiday fun together really set the time apart and drew us close together. 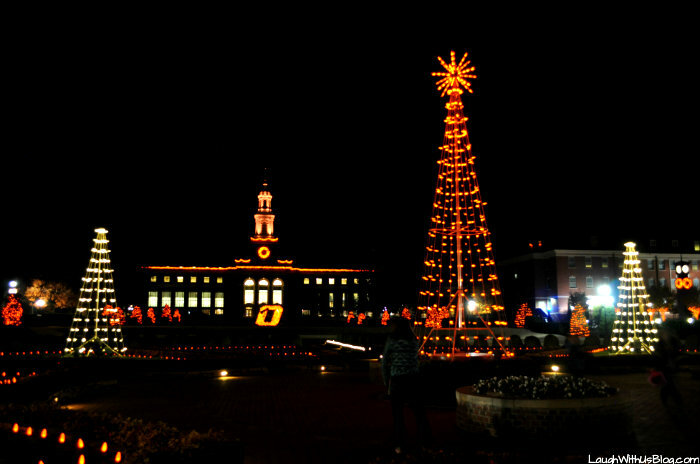 Stillwater, with all it’s charm was the perfect place to kick off Christmas! 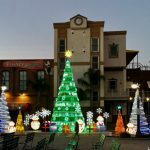 7 Reasons to Visit Oklahoma City for the Holidays! It was so fun reading this post because Carrie and I are OSU alums. Stillwater is great, isn’t it!?! 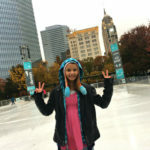 I’m glad everyone had such a great time. 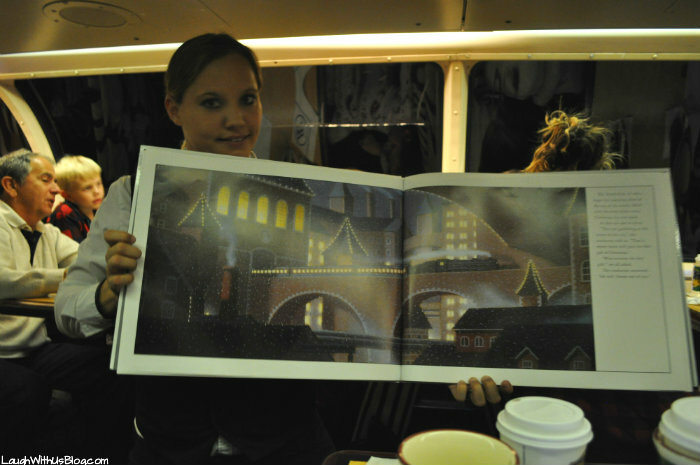 I didn’t even realize they were doing the Polar Express thing, but that is really cool! We’ll be there for a basketball game later this month, so maybe we’ll look it up.